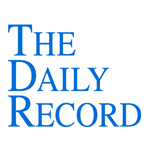 This week's Daily Record column is entitled "Oregon Ethics Board on lawyers, cloud computing." As cloud computing picks up speed and becomes more commonplace, lawyers are beginning to sit up and take notice. And, understandably, many who are considering using cloud computing services in their law practice wonder about the ethics of using these services, since doing so means that confidential client information is stored on servers owned and maintained by third parties. As a result, over the last year or two, ethics committees from across the country have issued opinions which address that very issue, including: Professional Ethics Committee of the Florida Bar Op. 10-2 (2011), New York State Bar Association’s Committee on Professional Ethics Op. 842 (2010), Pennsylvania Bar Association Ethics Opinion No. 2010-060 (2010), North Carolina Bar Proposed 2011 Formal Ethics Opinion 6 (2011), and Iowa Committee on Practice Ethics and Guidelines Ethics Opinion 11-01 (2011). The Oregon State Bar recently joined the pack in December of 2011 when it issued Formal Opinion No. 2011-188 concluded that Oregon attorneys may store client materials a third-party servers as long as there is compliance with the Oregon Rules of Professional Responsibility’s duties of competence and confidentiality which require lawyers to take reasonable steps to ensure the security of confidential client information. Of course, technology changes rapidly these days and cloud computing services are no exception. The method of delivery of the cloud computing services, the location of the servers, and the security measures used to protect the data stored on the third party servers may change at any time. Accordingly, it is imperative that lawyers stay abreast of the changing nature of the cloud computing services provided to their law firms. Compared to some of the opinions issued by other ethics committees, the Oregon opinion provided less detailed guidance for attorneys considering a move to the cloud. But, that’s not necessarily a bad thing because, as acknowledged in the opinion, technology changes rapidly. Committees that choose to impose upon attorneys very specific requirements relating to current technology limit the longevity and applicability of the opinion, quickly rendering it obsolete. The wiser course is to follow the Oregon Bar’s example and draft an opinion that offers elastic, broadly framed guidelines that will apply to future technological advances and thus withstand the test of time. Nicole Black is a Rochester, New York attorney and GigaOM Pro Analyst. 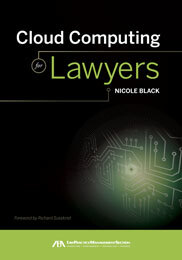 She is the author of the ABA book Cloud Computing for Lawyers, co-authors the ABA book Social Media for Lawyers: the Next Frontier, and co-authors Criminal Law in New York, a West-Thomson treatise. She is the founder of lawtechTalk.com and speaks regularly at conferences regarding the intersection of law and technology. She publishes four legal blogs and can be reached at nblack@nicoleblackesq.com.